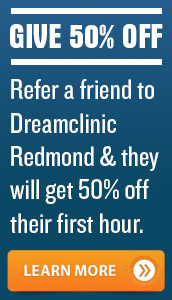 Dreamclinic is a Seattle-based business founded on the belief that all people deserve to have health and well-being and furthermore that health and well-being are achievable. Dreamclinic’s mission is to serve as a trusted business entity providing services and education that promote a natural approach to health. At Dreamclinic, our goal is to make expert massage therapy more easily accessible for busy people. We offer a convenient 7 day-a-week schedule and employ only highly skilled and caring specialists, so you get a truly therapeutic experience every time, on your schedule. Dreamclinic Philosophy is this – focus on the client and always provide good information. Focusing on the client means listening carefully to client needs, designing an appropriate treatment plan, and paying attention to client comfort throughout the massage. Good information means being happy to answer questions and providing information that is easy to understand, in plain language, so that clients are best equipped to make their own decisions regarding their health. Our quality starts with the therapists, who are carefully chosen for their superior massage skills and client focus. 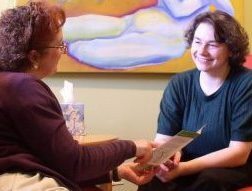 Therapists are licensed, with over 750 hours of training in areas including anatomy, physiology, pathology, and kinesiology. What also makes our people great is their passion for massage and for health in general. At the front desk, our administrative team is happy to help you, whether it is to set up an appointment, find out more about our modalities, or with a question about insurance. Dreamclinic recognizes the importance of a “client centered” experience and will do everything in our power to make sure that we can assist you. We offer our employees a beautiful space, potential for growth and a positive, supportive atmosphere. Learn about current career opportunities at Dreamclinic. The Dreamclinic vision sees Earth transformed into a place of greater peace and harmony due to an increased understanding of the factors that lead to overall health and the resulting mainstream practice of wellness for the body and mind. Dreamclinic’s mission is to serve as a trusted business entity providing services and education that promote a natural approach to health. Larisa Goldin founded Dreamclinic after graduating from Brenneke School of Massage in 2002. 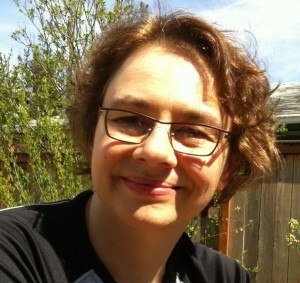 She holds an MBA from the University of Washington and a BA in English from the University of Chicago. Before starting Dreamclinic, Larisa held a number of senior-level management positions, managing software development in the high-tech industry. A fan of massage because “it is such an essential tool for treating stress and many musculoskeletal conditions,” she formerly specialized in Injury Treatment and Deep Tissue massage. Larisa also practices Reiki, an increasingly popular form of energy work.